Suppose, you want to install SSL certificate on your domain, you've obtained the SSL certificate from the Certificate Authority (CA), and installed it successfully. To verify the same, you checked the list of Server Certificates, but the certificate you just installed is not showing up in the list. 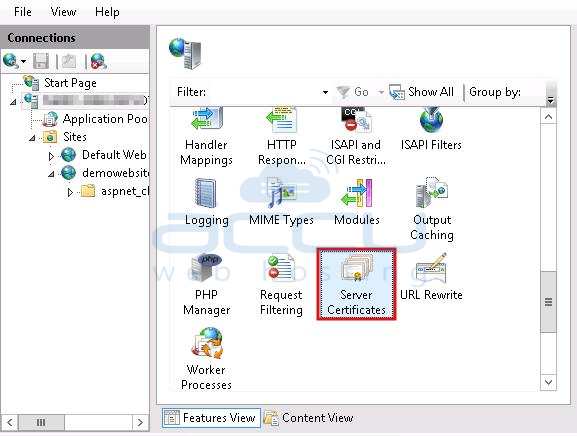 Well, IIS will list the certificates under "Server Certificates", from the Local Machine SSL store, only if these certificates have the valid private key and they are meant for Server Authentication. To fix this problem, try recovering private key of the SSL certificate. To recover the private key, you will need to repair the certificate by issuing the following command. Follow below steps to obtain the serial number of the certificate. Under Connections pane, select server name, and go to Server Certificate option. 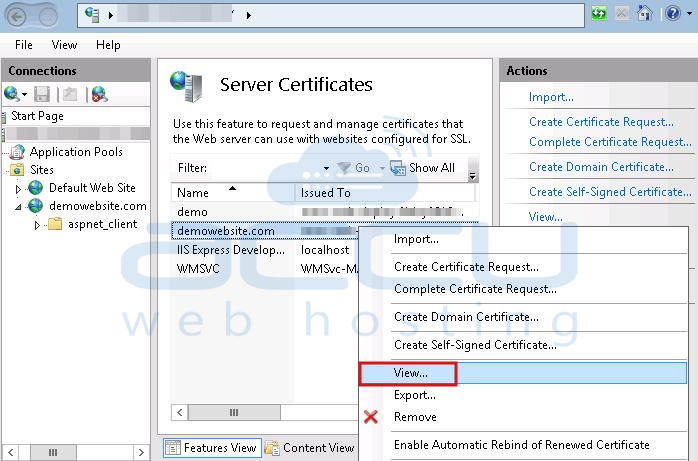 Select the desired certificate, right click on certificate name and then select View option. On the next screen, click on the Details tab. Here, you will see Serial Number of the certificate. Once private key is retrieved, Server Certificates menu will show up your certificate. If this does not work for you even after applying the command, then you may have to contact your web hosting provider. How to Add Website in IIS? How to generate CSR key and install SSL certificate on IIS 8? How to set periodic recycling for application pool in IIS 7?